Want to add ambiance to your room without the expense? Then you need to check out our incense and candle selection. We carry a large selection of scents. 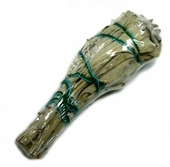 Our incense are true resin incense so they burn clean and pure. It won't take much to add a pleasing scent to any treatment room. Our candles use pure essential oils so you get that clean, fresh scent that comes with any aromatherapy treatment. Be sure to check out the tins. They travel well and once you blow out the candle, you can place the lid back on to eliminate the smoke odor from filling the room. Both are easy to use and a very inexpensive way to put aromatherapy into your session.